I’m currently in Eugene, the home town of MarchFourth’s founder John Averill so when this image came up as my random, desktop image of the day I thought it would make a good post for today. This photo was taken six months ago. Hopefully, MarchFourth will make a return trip to the Ashland Armory soon. Speaking of the Ashland Armory, The English Beat is playing there this Friday night. Tickets are almost gone but you can still pick one up here or at the Music Coop in Ashland. 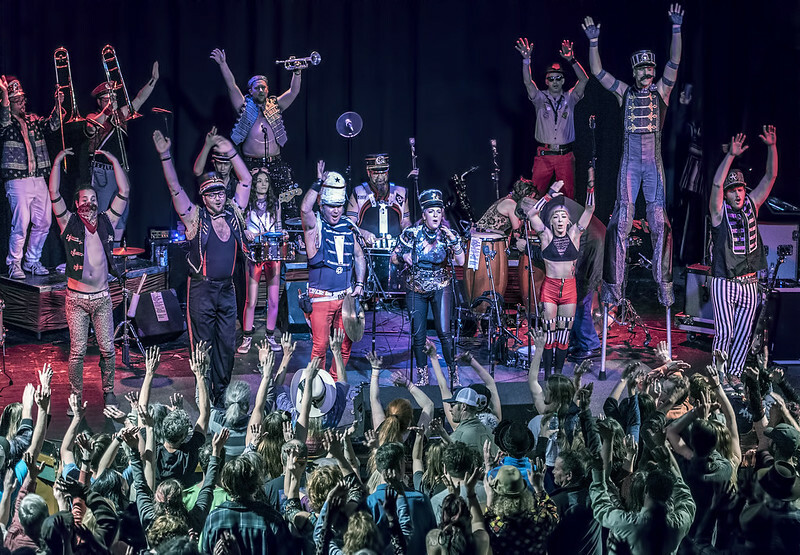 MarchFourth returns to Southern Oregon this week with an appearance at the Ashland Armory on Thursday evening (6/14/18). A last-second decision last night turned out to be a good one. MarchFourth exceeded expectations and really shouldn’t be missed. Their tour just began. They are in San Francisco tonight and will be covering a chunk of the western U.S. over the next few weeks. Check ’em out. Should I go see Hell’s Belles next week?